Title: “Variables”: the re-activation of a never-ending conversational piece in an age of embedded technologies. In my work and research I am always prepared to explore and experiment with whatever I encounter in my ordinary life: from sounds to objects, landscapes and architectures, non-human and human designs, processes and performances. From this reflections I start to explore the affective potentialities that I see emerging from the relationship between the urban landscape of cities and its materials, objects, humans and technology and it is from those reflections that new evoking sculptural possibilities will emerge. The prospect of integrating new forms of technology with the analogue, traditional method of making sculpture into a site-specific / sound installation emerges from one of these endeavours. It is an idea that has fascinated me for a long time and since I moved to Liverpool this prospect has become bigger and stronger. Indeed, I feel encouraged and inspired by this city, its territory and history. Therefore, it is my intent to reflect and explore the affective potentialities that I see emerging from the relationship between the urban landscape of Liverpool and its materials, objects and humans and technology to create new evoking sculptural possibilities. The initial plan was to start by exploring specific areas of the city, visually documenting them and at same time researching historical references in written and visual forms. The work emerges from these psycho-geographical explorations to create minimal sculptural/sound metaphorical interpretations. My research on Guy Debord and his work on Psychogeography, also suggested playful ways of walking around urban landscape in order to engage with its architecture and the surrounding environment through experiential approach, therefore I have decided to use this method as an approach based on walking and exploring locations around cities. Using my camera and other recording devices I started collecting materials within the surrounding area of the Salisbury Docks in Liverpool where the first residency offered by Make was based. My approach so far has been like that of a scientist when looking for evidences of possible hypothesis around specific areas of interest. In terms of method of work, it is necessary for me, before starting with the making, to establish a dialogue with the space/place and psycho-geographically (see [Debord 1981] concerning psycho-geography) develop a feeling, a connection between the space and my personal history. This imaginative overlapping of histories, locations and temporalities becomes the primary source of inspiration that eventually I translate into sound/visual installations. Through this affective engagement with the location I identify the materials available and through the process of observing, listening and attending the area, the form that the work eventually takes starts to emerge. Projection of the Victoria Tower positioned according to geographic location. 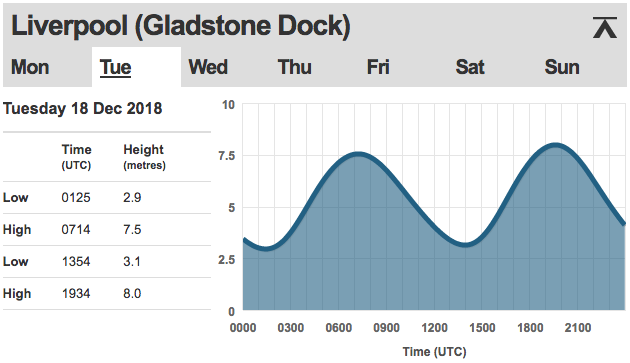 The tides charts are displayed on the wall to suggest the relation to the tower. A found organ pipe connected with a timed airpump should play according to the Higher and Lower tides. As a first sketch it was very positive. It opened up lots of questions and helped the devepoment of the second sketch "Variables". My focus in the realization of the first sketch was not only on the realization of the artwork but rather on the creative process itself that was unfold from the dialogue between the tower and the organ pipe using the chart as an activator for the sound. An aspect of my work follows the trajectory of the ready-made initiated by the influential, avant-garde artist Marcel Duchamp where the ready-made is a manufactured object that an artist chooses for its aesthetic qualities. The artist then presents it as a piece of art so that the object loses its functionality and acquires the status and value of an art piece. The idea that the ready-made encourages the transformation of daily-life objects into pieces of art to change their value and status it has become a strategic intervention method in redefining my artistic process that I like to define as a poetic act. For this specific work the two ready-made taken were the abandoned Victoria Tower as a man-made landmark and the organ pipe as a founded object looking for a new function. As Duchamp suggests, a creative methods open space to imaginative territories where there is always capacity for new meanings and different interpretations to emerge. And I totally agree, nothing in is visions is contained in only one, fixed frame rather everything is in a constant oscillation like an object in potency of invention. At this point in time for my second sketch, I have started to consider the use of a different object an unusual musical instrument: like a a sonnometer. 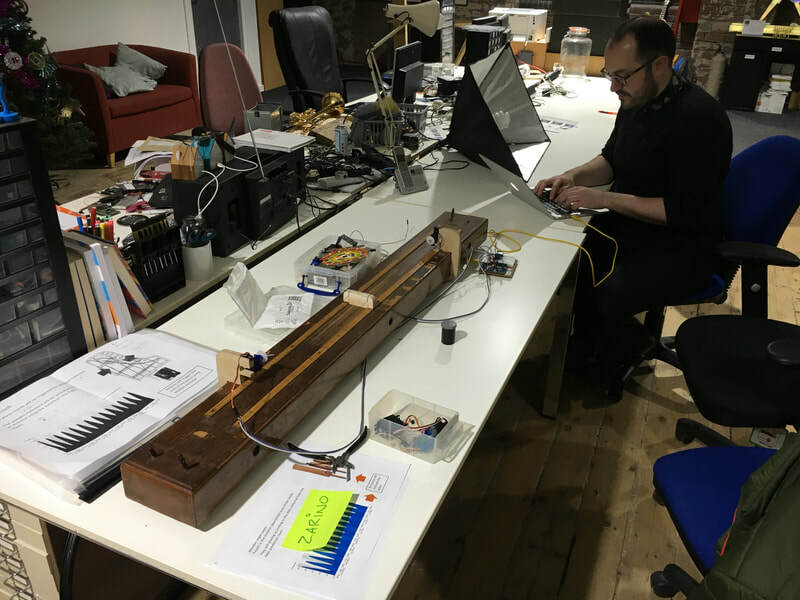 The use of an Arduino as an open source hardware will help to control the sound that will emerge from the changes of the Lower and Higher Tides of the River Mersey. 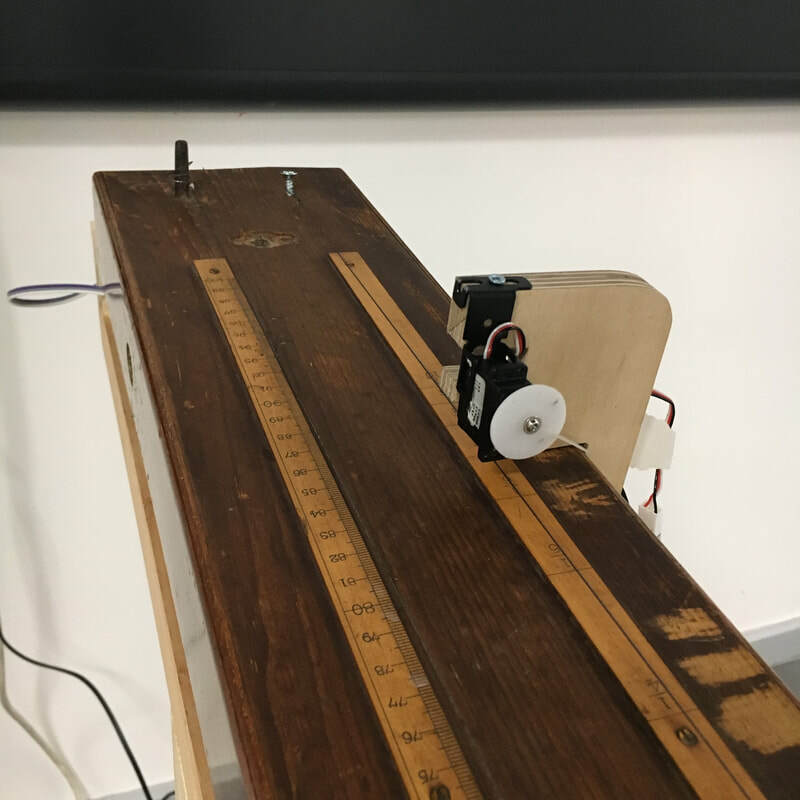 In order to play the sound of the tides I have used two servo motors mounted on the sonometer, an instrument usually employed in acoustic investigation. It consist of one or two strings stretched over a resonator of wood. 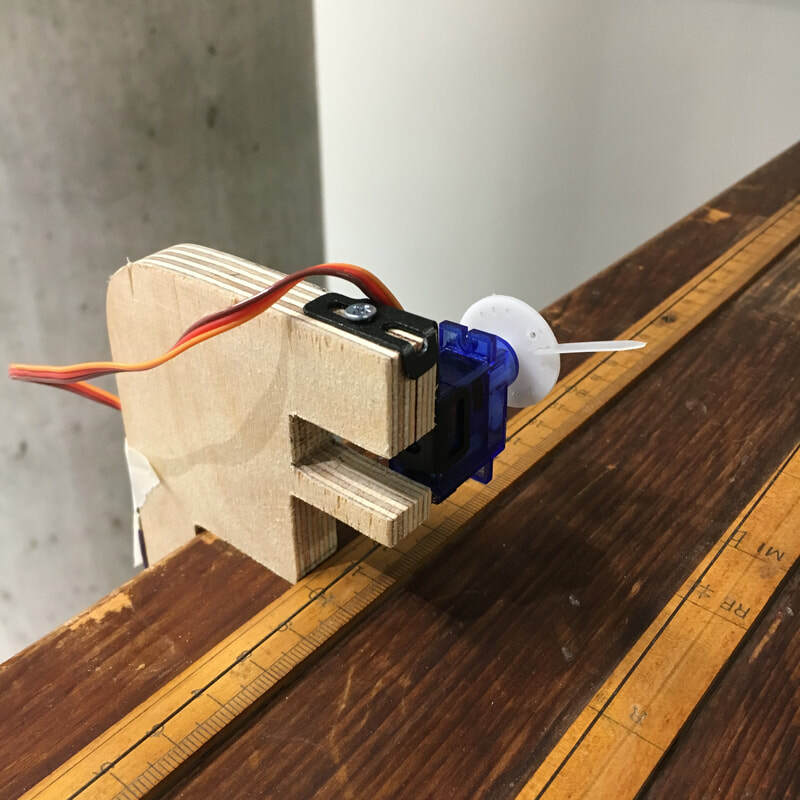 The sonometer is an instrument with interesting sound and aesthetic qualities, perfet for the experiment with the tides. 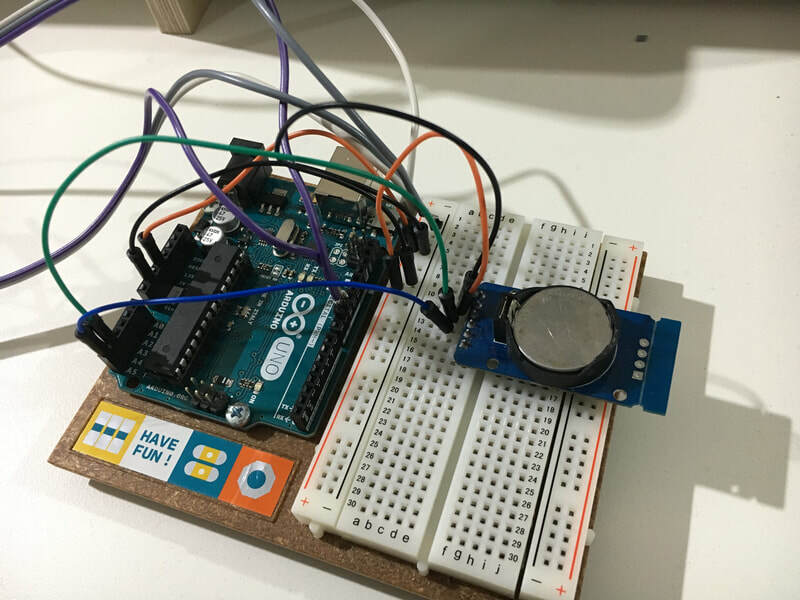 For this project I had to learn how to write code into the IDE of the Arduino and start to syncronise movements. Most of the coding was done thanks to the support of Zarino, an engineer from Doesliverpool. A fantastic and supportive creative Lab in Liverpool. Sound derives from the capacity of matter to vibrate and create different reactions within the body as much as within the space where it is played. 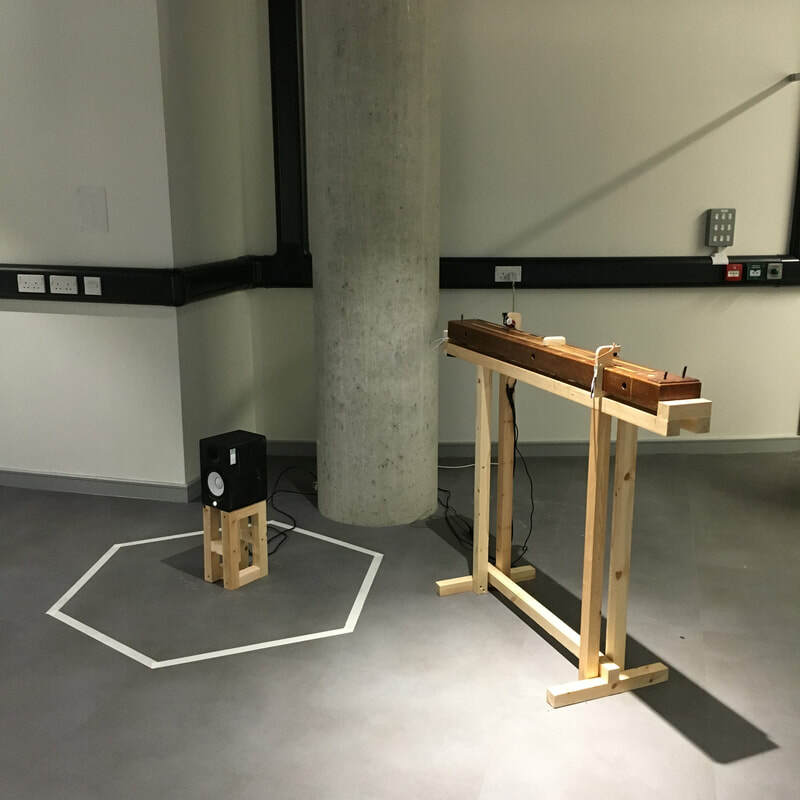 In sound art it can be used to suggest a presence or an element of reality within any representational context. 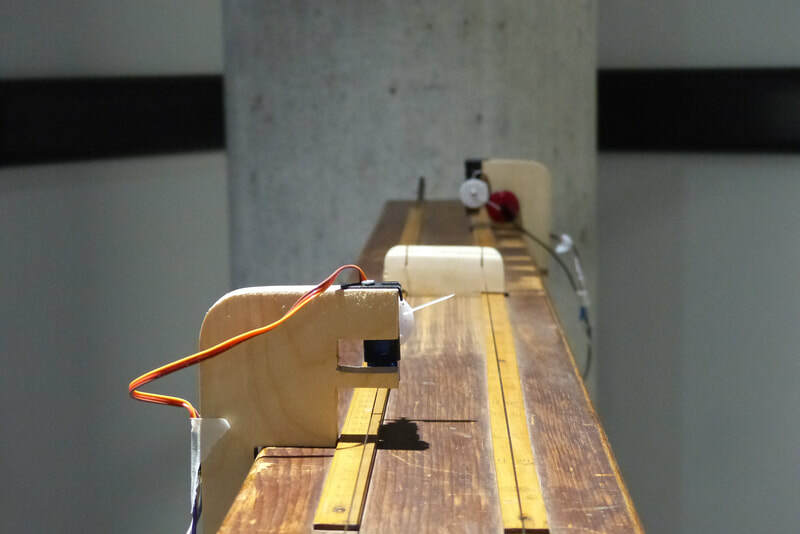 This new reactivated presence, sculpture as a simulator of physical movement of the tides rather then an object on display, it takes the aesthetic qualities of the sonometer as an object and the sound into the scenario where those two entities co-exist in a never-ending conversational piece. So far I have explored and reflect on the concept of the ready-made and how an anonymous object can be translated into a work of art or redefined as such. By reflecting on Marcel Duchamp work I started to explore what is the most significant development that has occurred in the world of art in the last century. The work of Robert Morris has helped me to look at the process of making as an essential element that can not be separated from its final form and at how this element can actually be transformed into a phenomenological event inherent to the final work, a kind of memory or history layered within it. The aim of this research is to explore different methods of intervention to re-connect people to geographical places, to revalue this relationship between the rhythm and sounds of different area of cities and the life and rhythm of people who may have been disconnected from those places due to the changes of histories from the past to the present. I hope my sculptural intervention operates as a depiction of an experience as lived through in a particular moment of time and re-proposed and adapted to the present. The theoretical lens of interest through which I will look at this research is phenomenology and the work of Merleau-Ponty on presence and experience. The presence of natural phenomena that we are not necessarily conscious about because busy with the routine in our daily life, but they still exist and happening on a daily basis in different places in different time. 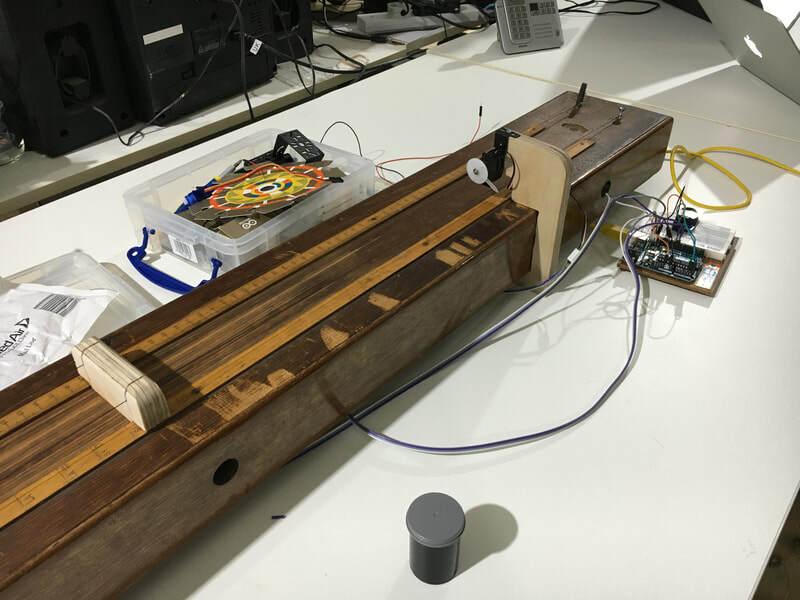 The idea I can open imaginary dialogues between urban spaces and people helps me to develop the idea of transforming dis-functional musical instruments into new musical devices. 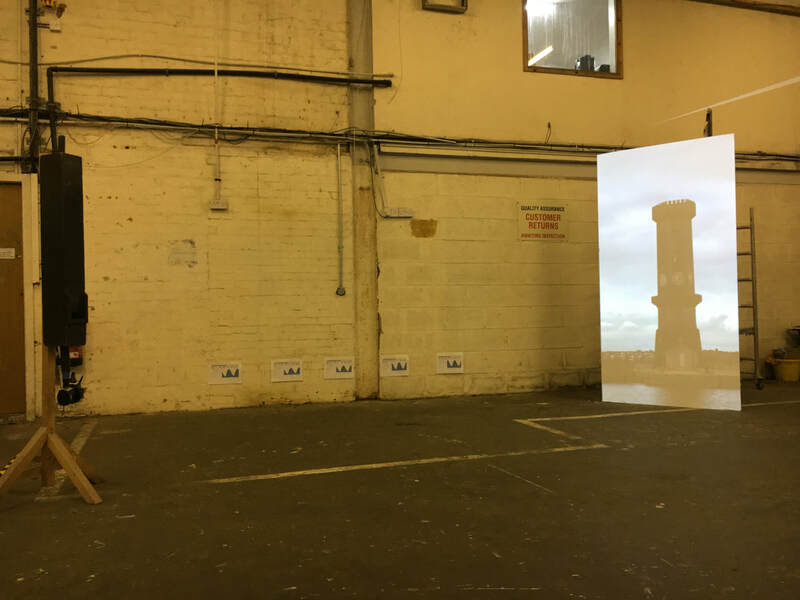 By connecting this creative and artistic approach to the events witnessed when exploring the landscape around the North Docks, it is my intention to employ the use of mechanic engineering and embedded technologies as a method to link those events with a programmed instrument. This creates a poetic, but at the same time, real connection in terms of time between two spatial dimensions, a casual link which somehow resonates with the function of the old tower and therefore with the movements of the tides.